Let me be pretty clear about this, the only circumstances under which Halftime Adjustments will refer to the ballpark in which the Indians play as ‘Progressive Field’, would be in some sort of sarcastic harsh tone. 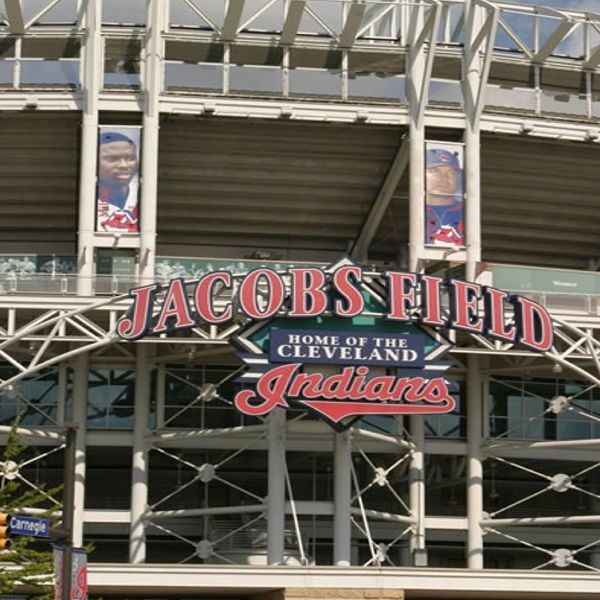 Since 1994 the Indians have, and until it is knocked down, will always play at the Jake. Yes!!! Does this mean we get Nathan’s dogs at the Jake? Byrd, Bats haunt Red Sox! The Indians beat Boston 7-3 Tuesday night, on the strength of good pitching and a seven run 5th inning. Hmmm, 7. That’s a good number for the Indians. How about a recap in seven parts, or more specifically the 7 reasons the Indians are 1 win away from a date with Colorado. The Indians win 7-3 to take a 3 games to 1 advantage!!! Another 7 run inning does in the Sox! Complete breakdown tomorrow! Last night the game time temperature was in the high 60’s. There was a slight breeze, and most players were wearing short sleeves. Um, there won’t be many tonight. Look for temperatures to drop, and rain to fly early. In short- it could be a messy game. Here’s hoping that favors the Indians over the dancing knuckleball of Tim Wakefield. A win tonight and the pressure on Boston is enormous. Pour it on Cleveland! Jake Westbrook pitched the Indians into a 2-1 lead in the ALCS tonight. Inducing 13 ground ball outs, and 3 double plays Westbrook put gave the Tribe faithful more than could be expected. The bullpen was excellent as usual. In fact, this game looked more like the 96 wins we saw over the course of the regular season. Jensen Lewis replaced Westbrook in the seventh and shut the door on a Sox rally. Rafael Betancourt was tremendous, striking out Youkilis, and getting Ortiz and Ramirez in the eighth. Borowski even recorded a rare 1-2-3 ninth for the save.